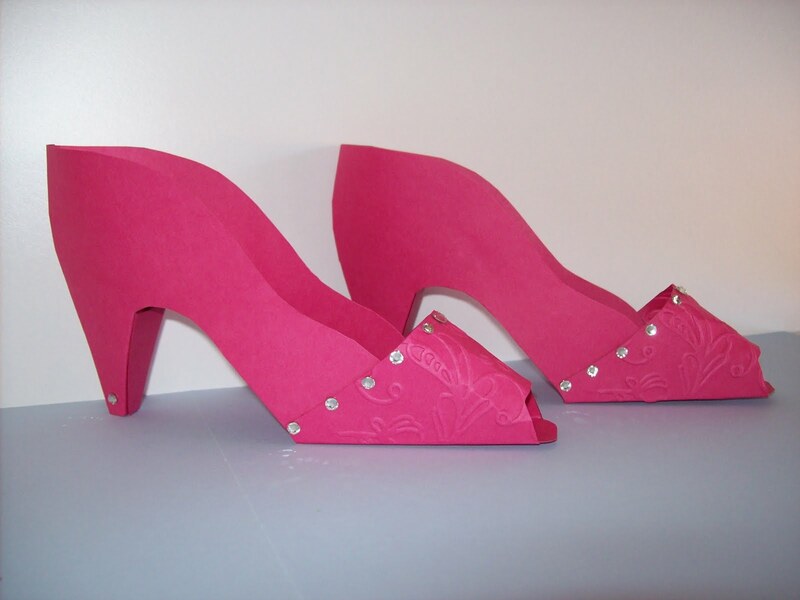 While surfing the net for inspiration, I came across a lady by the name of Ellen Hutson who makes high heel shoes out of card stock. I could not resist the temptation, so I made my little girl a pair with the strict instructions from her to make sure that I put lots of bling on them so they would sparkle. Accessories: Big Shot - Elegant Lines, Basic Rhinestones and Sticky Strip.